The wider head allows a better gliding through the meshes of the netting. 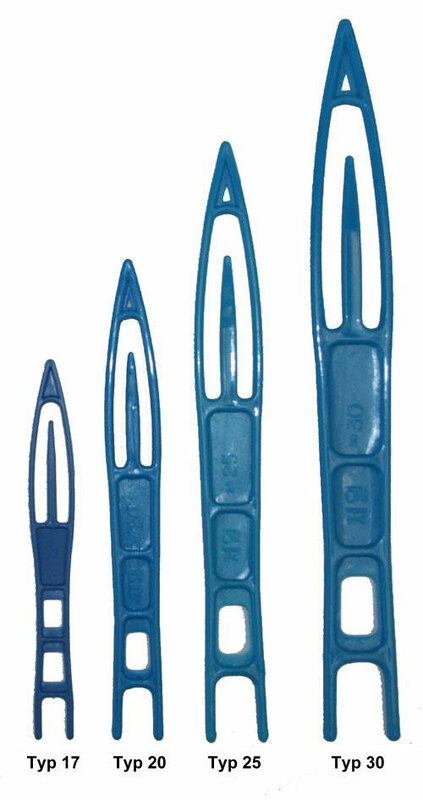 These netting needles are used for thicker twines and larger mesh sizes. Net needles are used for net production, repair of nets and mounting of nets.